Netika is opening to the Medical Imaging domain and offers its first solution dedicated to the quality management. With a simplified and adapted tool, Netika offers KaliRad, a modular software for multi-site. Being adjustable depending on the needs, it is used via an ergonomic and customisable interface. 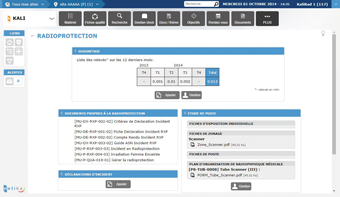 The package KaliRad is dedicated to medical imaging and is made of differents key modules. KaliRad is a modular solution for management in radiology services. 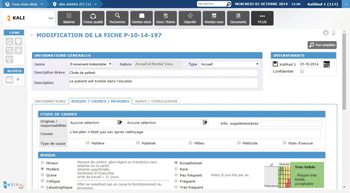 This feature enables the managment of all the data and tasks related to the equipment of the organisation. KaliRad was conceived by and for the medical imaging actors. It meets the LABELIX recommendations and the ISO 9001 requirements.